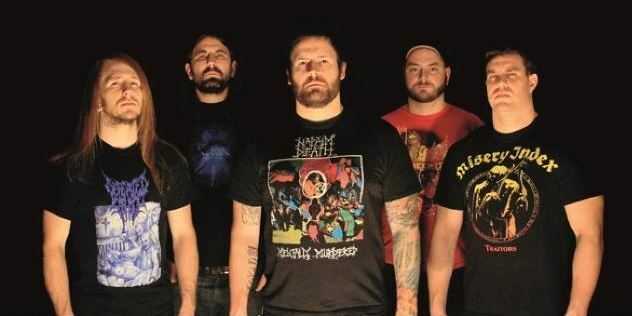 If one band is really exemplary in the whole ‘work your way to success’ formula, it’s The Black Dahlia Murder. Ever since the early days of the band, jumping to Metal Blade Records for Unhallowed and hitting the road, they have been at it consistently for years. And it’s paid off for them. 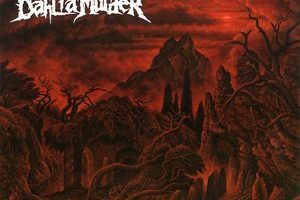 With each new release, they’ve built up more and more of a dedicated fan base and would easily be considered one of the more prominent death metal acts going today. And they’ve handled it with grace and humbleness. Now approaching their eighth album, Nightbringers, the band has yet to slow down. They’ve continued to steer their course – fine tuning with each new album and bringing in new sounds yet continuing to have an immediate Black Dahlia vibe. Nightbringers doesn’t rock the boat too heavily, but new guitarist Brandon Ellis does bring in yet a new angle for the band. In speaking with Trevor Strnad, his energy was palpable as release day looms in the horizon – discussing Ellis’ influence, merch, the many genre-labels they’ve been lobbed over the years, and his thoughts on death metal in 2017. 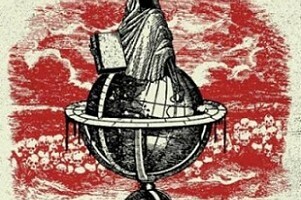 Dead Rhetoric: You’ve actively gone back towards Unhallowed and Nocturnal for recent tours. Do you feel that played into any of the writing of Nightbringers? Trevor Strnad: Yes and no. I think maybe Unhallowed had an influence. Revisiting the past as we were meeting to think about creating a new album with Brandon [Ellis]. I think it was a good thing to come full circle and be reminded about how everything began. We always try to straddle the line – we want to be recognizable and people to be able to say, “wow, that’s Black Dahlia.” We straddle the line of what we’ve done and consider to be classic and incorporating new elements and having new variety within the music. It’s both worlds that we are working from. But Nocturnal…the idea to do Nocturnal didn’t really come together until Nightbringers was in the bag pretty much. Dead Rhetoric: As you were saying, does it get tougher then, with each new album, to keep your sound recognizable but still make it seem fresh and not simply a retread of the past? Strnad: I think with each album, we’ve been more successful with each record by a little bit. It’s been a gradual upward climb, which has been awesome. But with that comes great responsibility to deliver the goods and keep the fans happy. I feel like we have hit them pretty strongly from Ritual onward. I think that was a big turning point. We’ve been able to hit the nail on the head with the last few records, so it is a lot of mounting pressure, and at times, you get freaked out, but in its own way, it’s awesome too. It’s amazing to have people waiting to see what you are going to do – to have eyes on you at all times. Dead Rhetoric: Do you feel that Brandon Ellis had an effect on the writing of the album? Strnad: Definitely. It’ll be very apparent when the whole thing comes out. Not only did he dazzle us with his solos, but he also wrote four songs for the album. It was a really pleasant surprise. He’s played on a ton of records, he’s soloed on a ton of records, but he’s never had his own music out to the world in this way. This is a very exciting time for him, and he’s definitely put his stamp on the record. His songs in particular, he brought in a lot of influences slightly outside of what we’ve done before. There’s a lot of classic, traditional heavy metal, some NWOBHM influence, some definite rock riffs where it travels into that Megadeth Countdown to Extinction territory. It’s no so far outside the box that’s like, “What is this?” but it’s definitely new for us. A lot of speed metal elements, a lot of neoclassical elements. He’s very musical. He’s the most musically educated person we’ve had in the band up to this point. It’s very exciting for him to not only come in, but feel so confident and take control in the way that he did. It’s been inspiring to the rest of us. Brian [Eschbach], I think, reacted very strongly in his own writing to kind of be of excited with what Brandon was creating in an attempt to match him. To write the lyrics to the new songs, both Brandon’s and Brian’s, it was exciting to me to hear this music for the first time. Since the first few songs came together, I felt like we were onto something special here. I’m very excited to release even the next song that’s coming out [“Matriarch”]. Dead Rhetoric: The title track is quite melodic overall – is that something we can expect from other songs or does it stand out in that regard? Strnad: I think it is a bit more melodic, overall, than ever before. Brandon is a very melodic player, but that song is unique to the record too in its own way. It’s got kind of a playful, circus-y type of riff. There’s no blasting, which is pretty rare for us too. It’s just an attempt to have a nice variety so that the people will be able to differentiate the songs easily, and they’ll have their own identity. That was the goal there. For a fast band, we’ve been trying to get more varied…I think that’s a good thing. Instead of having all the same thing and have it be static and people wanting to turn it off because they feel like they’ve heard everything. [We try to] have a dynamic rollercoaster ride of an album. We keep it relatively short, and we always have. I think that’s realizing how dense the music is. There’s never relent in any of our songs. I personally never shut up [laughs], I’m always singing. I’m just matching the music. There’s always this forward propulsion with the way that Brian writes. We keep it ‘Reign in Blood’ – we keep it short and sweet and to the point, and hopefully with little fat, you know? Dead Rhetoric: Definitely. No one wants to hear a 75-minute death metal album, because they are going to get hammered over the head the whole time. Strnad: That’s kind of the idea. There was one song, I don’t remember which one, but take any song from our catalog. We checked how many snare hits it had, and it had 3,333 snare hits in one song. You have to think about beating someone over the head with that instrument for 75-minutes. I don’t think people would take it. Dead Rhetoric: You had Necrolord do the artwork for Nocturnal and Nightbringers. Is it just coincidence that these are evening-titled albums? Strnad: It’s tied in a little bit. It’s been a recurring lyrical stance since the beginning. Speaking of us as these awakened minds that exist at night, when the rest of the world is asleep. The traditional world is asleep. It’s a villain music – death metal overall is villainous music. It has satanic roots, it is adversarial. With death metal, I always see it through the eyes of the monster and the killer. I always write as the character – as the slasher in a slasher movie. It has this visceral appeal – shock value and gore, and the macabre. People just can’t turn away from that. There’s some kind of attraction. It’s very core to that side of life. Dead Rhetoric: So what is necessary to take typical metal lyrical fodder and make it seem fresh and interesting? Strnad: For me, it’s in the presentation. I take a lot from very classic themes in metal. I like clichés, I like the standards. I think that’s what makes metal ‘metal.’ There’s a place for genre-pushing bands; I like them too. But for us, it’s about representing a certain type of tradition. I enjoy that aspect. I enjoy writing, I enjoy the fantasy aspects. Providing hopefully an escape for people. It’s dark music with dark themes, but at the end of the day, I want it to bring people together. I want to have a show where everyone is out there smiling, forgetting about their woes for a second, and getting into our world with us. That’s what it’s all about for me. Dead Rhetoric: Not to make you sound kind of elitist, but you are talking about carrying on traditions…there’s still the big veteran death metal acts around like Cannibal Corpse, Obituary, bands like that out there. But do you see The Black Dahlia Murder as moving towards a second tier of that legacy as you continue on? Strnad: I mean, I hope so. That we have been able to survive a couple of generational changes as well is a testament to longevity. We were thinking long-term when we first started to come out. Are we going to be here in 10 years? 15 years? We thought globally from day one too – getting over to Europe, and things are doing well over there. I’d say they are just behind what we have in the States – we have a great prominence over there too. I didn’t predict that we’d make it this far – 8 albums deep. I didn’t predict that one day we’d be around and the crowd would be half our age and looking at us like we are old men. I didn’t see the longevity – I wanted it but I didn’t predict it. It’s been amazing, and it’s still amazing. I’m still watching my dream unfold and there hasn’t been a glass ceiling yet…it hasn’t peaked. I feel a responsibility, just to the opportunity itself, to take it as far as possible. To play every show we possibly can, to advertise the band the best we can. This has been my life – I put everything into this. Dead Rhetoric: Speaking about the glass ceiling thing, I was looking around and it sounds like pre-orders for the new album are significantly higher than in the past. Are you a bit taken aback by that? Strnad: Yes, I am actually. I feel like, in a way, the Blast Fiends – it’s like an unofficial fan club that has really come into prominence in the last two years. They were around before that, but I didn’t really conspire with them until this album cycle. They’ve gone from 500 members to somewhere around 10,000 and they are really just spreading this collectors culture for our stuff – for our merch, for our output. We are seeing their influence and power come full swing for the first time, with these pre-sales, and I feel like we owe a lot to that. Having a fan club is a brilliant move. It brings people together – people come from all over the place and meet each other. We’ve got people following us around like the Grateful Dead…a couple of those guys went to 12 shows in a row on the last tour. It’s like helping the cauldron boil to this higher level than it’s ever been. That’s been really cool. I think the fans are getting it. They know how important record sales are, and how hard it is to get them anymore. So they are kind of overextending themselves for us at this point. It’s a huge honor – it’s really cool. I’m really excited to see how this plays out. It’s unprecedented…it’s a very exciting time for us. And we still have two [ed. note – now one song] more songs to release before the album comes out so I’m looking forward to how people respond to those too.